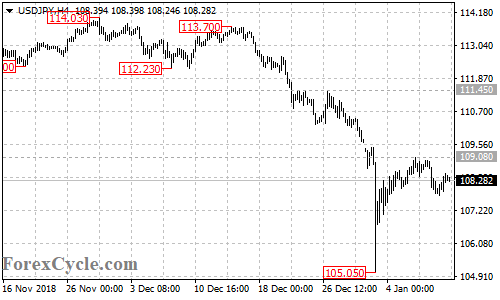 USDJPY is now in the short term downtrend from 109.08. Further decline could be expected after correction and next target would be at 106.50 area. Key resistance is at 109.08, a break of this level could trigger another rise towards 110.40 area.